Welcome to our website displaying impeccable material handling solutions for your entire operational need. 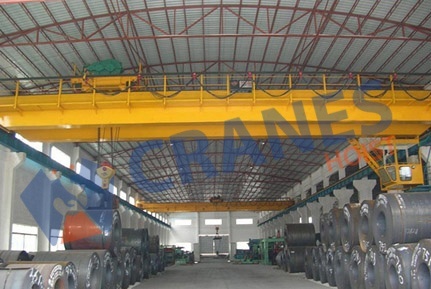 Our robust and durable range of products embraces eot crane, hot crane, Jib Crane, gantry crane, overhead eot crane, overhead hot crane. Being aware of sensitivity of operations, we have constructed our whole range with following global standards. We follow each norm and condition of fabrication of worldwide, intercontinental standard. Keep in the mind intact requirements of all industrial and domestic sectors; we have designed a series of trolleys, cranes and hoists with also tailor made solutions. 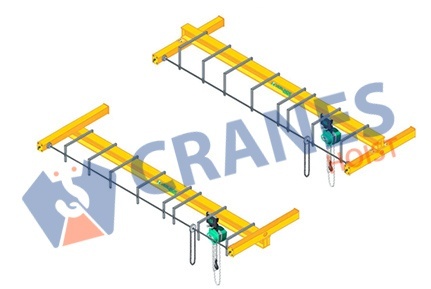 Our range of single girder overhead crane, double girder overhead crane, flame proof hoists and trolley crane varies in size, capacity and other configurations. We have serve up many flourishing projects of India as well as of many foreign countries. 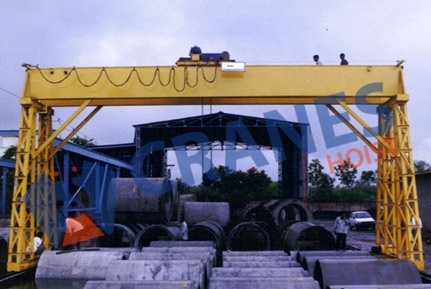 Cranes hoist is equipment which used for the material handling, heavy duty load transportation in numerous industries especially in dock yard, power plant and construction industries. The cranes hoistincreases the productivity of clients that enabled them to accomplish their material handling requirements with high proficiency. 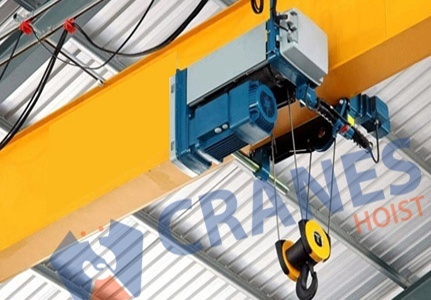 At Our company, we have a unsurpassed manufacturing facility fortified with diverse technologically cutting-edge machinery and equipment that allows us to manufacture quality cranes hoists as per the client’s specification under the given time limitation. Your request for the catalogue of our E.O.T crane, H.O.T crane, Jib crane, goliath & gantry crane, trolley crane is very important to us. 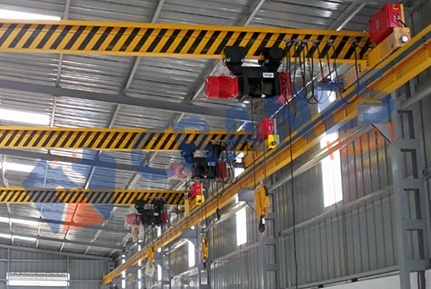 We supply this cranes and hoist according to the customer’s requirement at economic prices within one business day. To offer highly reliable material handling units, we have designed well equipped, high tech fabrication facilities. 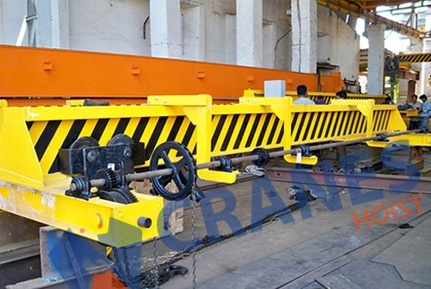 Fabrication of crane hoist and its parts is thoroughly monitored with highly qualified experts. It is focused with centering quality and exact need of client. Raw material for fabrication is procured from highly reliable sources and passes through stringent checking. It is tested at every stage of fabrication. It contains easy to use features and provided with latest generation control system. Our eot & hot cranes series is popular in Dubai, Nepal, Bahrain, South Africa, Saudi Arabia, Yemen and other gulf countries, Middle East countries and in South Asian countries. 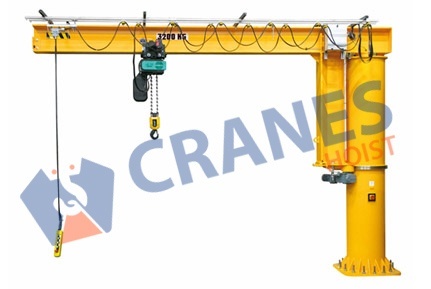 A Crane Hoist is a device used for the lifting or lowering a load by means of a drum or lift-wheel around which rope or chain wraps. It can be operated manually, electrically or pneumatically and use the chain., fiber or wire ropes as its lifting medium. The load is attached to the crain by the help of a lifting hook. It is used in almost all type of industries such as construction, mining, power plants etc. We have the worlds’s largest installed base of overhead cranes and hoists including bridge cranes, and hoists including bridge cranes, traveling cranes, jib cranes freestanding cranes, workstation cranes, electric chain hoists, and rope hoists.